We (group of three) took a chance on city wonders (2/4/19) because it looked like the best option. The two tour guides we had were Edoardo (Mark) and Gio. 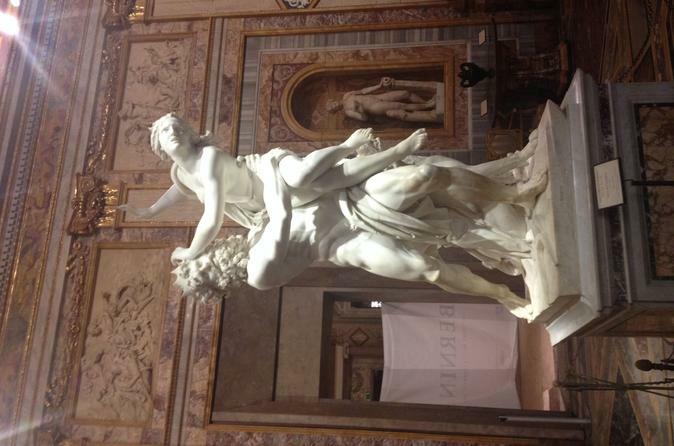 The first part, Vatican City tour with Edourdo was the best tour we had among all our other tours in Italy. He made us feel safe in the large crowd, always counting us and making sure we knew what was next. He made touring the vatican fun and amazing with his humour and little facts that enriched our experience and understanding. His passion shone through, and we thought that he was the perfect tour guide one could ask for. Next, we had Gio for the Colosseum. She was knowledgeable and looked out for us (especially with the large number of schoolchildren) touring the colosseum. She made sure everything was fast and efficient, and as with eduoardo, taught us a lot about the Roman forum etc. This is our second tour with City Wonders (first being the Pompeii trip) being our first time in Italy, and we can definitely see that City Wonders pick their tour guides with care. Tour on point, and good job! Wonderful experience. We did the AM tour of the Vatican and afternoon of the ancient sites. Both guides were wonderful, but our guide Gio really stood out. She was absolutely the best tour guide I’ve ever had! Both guides were extremelly knowledgable. The tour of Vatican tour was very thorough, and the guide went out of her way to answer a question I had about one of the many museums. Having a guided tour brought more enjoyment from both attractions. Even in March the queues were long and we bypassed these! Both tour guides were well informed and the whole tour was well planned. The tour was a fantastic taster of Rome's main attractions. You're on the move all day in order to fit everything in which did mean we didn't spend much time in any one place. But there are other tours which would leave more time at the end to explore by yourself if you wanted this. Very enjoyable and 10/10 from me. 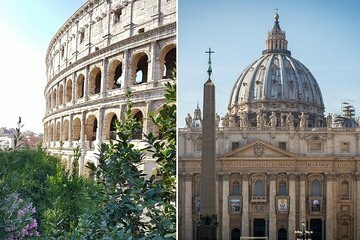 We attended the vatican and colosseum combo tour on saturday 19th january. Both tour guides were exceptional with their knowledge and brought the whole experience alive for us. We have returned home with a wealth of knowledge.Thank you. The morning tour started at the Colosseum. Allesia was our guide. She was absolutely outstanding. She was extremely knowledgeable, courteous, punctual, and pleasant. Everything you would want from a tour guide. The weather was great for January and the crowds were small which allowed to see everything at a nice pace. The headsets worked well and allowed us to wander but still hear her commentary. She was fantastic.It was a beautiful day so I walked from the Colosseum tour to the Vatican. Grabbed a snack along the way and met the group for the Vatican tour. Allesandro was our afternoon tour guide and he also was excellent. He was still learning English, but spoke very well and was able to provide commentary and answer questions with minimal difficulty. As an archeologist, he was very knowledgeable and thorough. The lines were short and the museum and Sistine chapel were not crowded, which allowed for an amazing visit. St. Peter's basilica was incredible. I have already recommended this tour to others. It made for a long day of walking with a lot of information, but it was so worth it. Thank you for a memorable and rewarding experience! Wonderful and complete at a brisk but not too fast pace. VERY knowledgeable, entertaining and personable guides (Fabrizio and Pauola) who spoke very good English. We would like to have had transportation included as we ended up being robbed by a Taxi driver inbetween the Colosseum and the Vatican. This tour is completely worth it. If you don't skip the line, you're in for a long wait. Plus, the guides are very informative - you'll learn a lot! Due to shuttle issues at the airport in Rome, I made it to my tour literally 10mins late. I spoke to a City Wonders employee who was extremely rude and unhelpful. I explained to him (younger male blond/brown hair) I was a little late and if it would be possible to meet with my group given that the tour is 2+ hours. He smugly told my wife and I no and that we would have to wait til 2pm until our next tour began (we booked the 3 site package). It made no sense why we couldnt meet up with our tour just 10mins late. I paid close to $300 dollars for this package and they couldnt even accomidate 10mins. City Wonders is a terrible touring company. I would hope in the near future Viator would vette there tour companys they use more closely because this was a terrible experience.